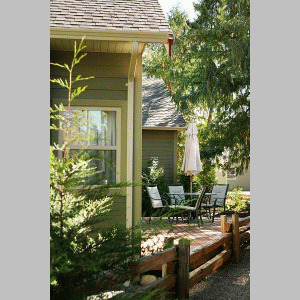 Nestled among the trees, beautiful cottages offer a warm and welcoming atmosphere. The Oceanside Village Resort has all the amenities of home with fully equipped kitchen, washer and dryer, all linens, TVs/DVDs, field stone gas fireplaces. 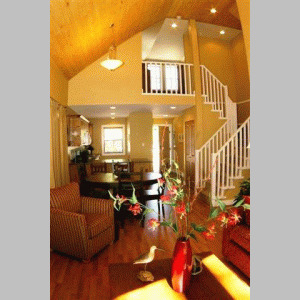 Most cottages offer 2 bedrooms and 2 bathrooms. The Recreation Centre boasts an indoor pool, hot tub and exercise room. A Sushi Café, Day Spa, and Gift Boutique are conveniently located within the Resort. Minutes away Riptide Lagoon Adventure Golf, Rathtrevor Provincial Park's endless beaches and walking trails. Parksville city core and Community Park are just 5 minutes away. Stroll through the local shops, indulge in the fine restaurants, or enjoy a day at the Park, which hosts an Annual Beachfest & International Sand Sculptor Competition each summer. The Oceanside area boasts 6 world-class golf courses that are open year round including Morningstar Champion Golf Course, Fairwinds Golf Course, Pheasant Glen Golf Course, Qualicum Beach Memorial Golf Course, Eaglecrest Golf Course and Arrowsmith Golf & Country Club to challenge your skills. When it’s time to explore the rest of the Island, Oceanside Village Resort's central location is ideal. Just 2 hours away is the Provincial Capital, Victoria to the south, Pacific Rim National Park and Tofino to the west and Campbell River and Strathcona Park to the North. For the skiing enthusiasts Mount Washington Ski Resort is an hour away. Just 25 minutes from BC Ferries and only 45 minutes from Nanaimo and Comox Airports, Oceanside Village Resort is the perfect place to be. Please visit Oceanside Village Resort Website.